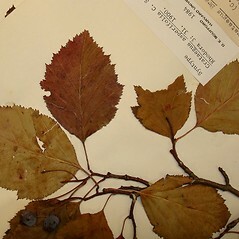 Crataegus is a difficult genus with the second largest number of species of any genus of vascular plants in New England. Here are a number of things to remember when using this key: 1) You will need to have flowering material for most species, and you will also need mature fruits for some species, so you may have to observe or collect material at two different times in the growing season. 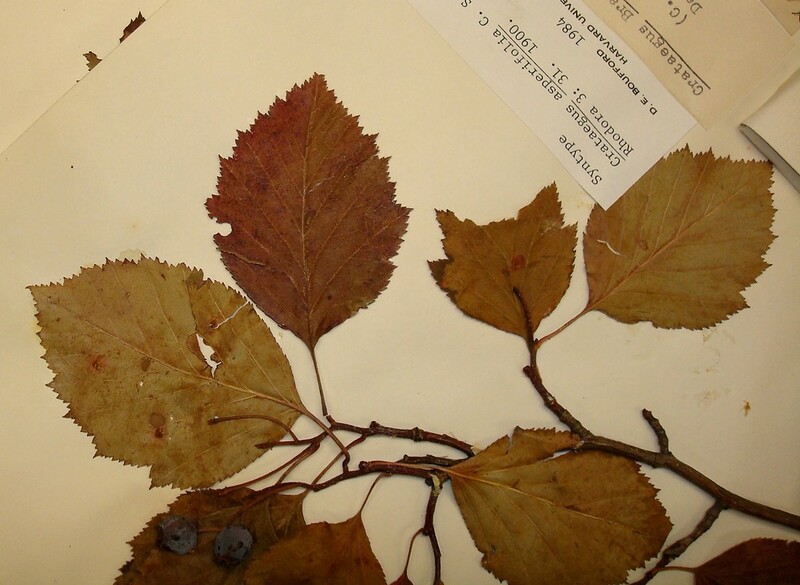 2) The measurements in the key were taken from dried specimens; adjust upward for fresh material. 3) If you only have fruiting material, you can usually find a few hairs along the peduncle and/or pedicels in fruit for those species that are known to have moderate to dense pubescence on the flowering stalks during flowering. 4) If you only have flowering material, species with pubescent fruits also have pubescent hypanthia during flowering. 5) Species with one cycle of stamens will have 5–10 total stamens, whereas those with two cycles of stamens will have 12–20 total stamens. 6) When checking the bracteoles in the inflorescence, use only the ones in its middle and upper portions, since they are often different from those at the base. 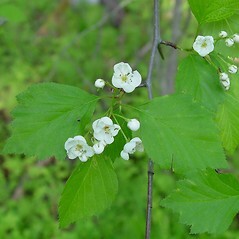 7) Long branch shoots usually bear larger leaves than short branch shoots. 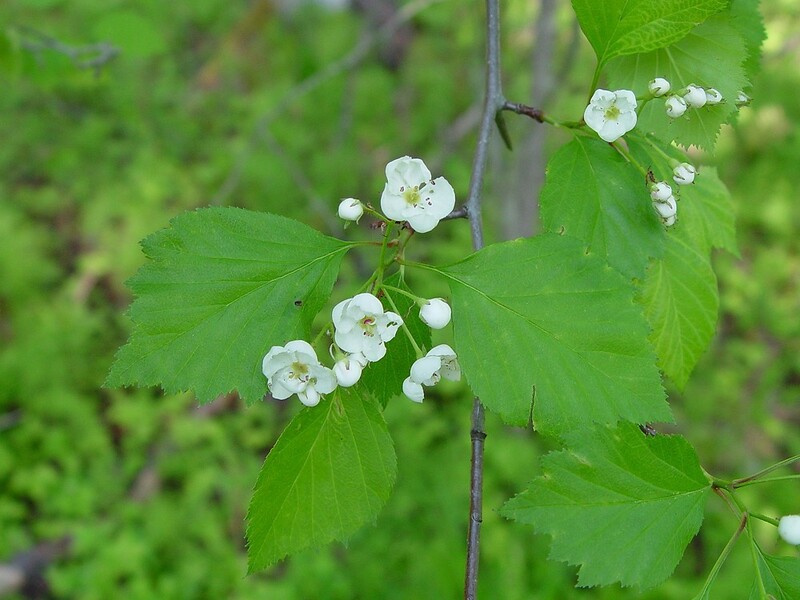 8) The appearance of the inner surface of the pyrenes is an important key character for some species of Crataegus. Don't be confused by insect tunneling--check for exit holes on the outside of the fruit or look for insect feces and don't use these fruits for identification. References: Palmer (1952), Phipps and Muniyamma (1980).